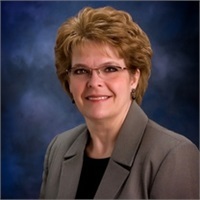 Marilyn M Carlson is a seasoned financial professional who is active in Slayton and the surrounding community. She has worked in the investment and insurance profession since 1986 serving individuals and small businesses. Marilyn holds FINRA series 6 and 63 registrations, and is licensed in Minnesota as a health and life insurance agent. She also holds a license with Guaranteed Rate, Inc as an active Residential Real Estate Loan Officer. Her career has been spent providing personal financial guidance and education to help people make good financial decisions on their path in life and to help them prepare for each stage from birth to end stages of life. She began her financial services career working in a bank setting, and eventually found that she could meet her client's needs more personally, and effectively as an independent financial professional. 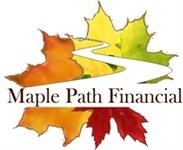 She established her independent practice in 2005, and in 2014 introduced the Maple Path Financial brand to the community. Today's financial landscape has become quite complex. In 2015 she became a member of the Full Circle Financial branch of financial planners and professionals affiliated with ProEquities, Inc. This affiliation provides her with access to support and multi-disciplinary case consultation services from a diverse team of other financial professionals with well over 100 years of experience collectively. This allows Marilyn access to various professional perspectives and ideas, and confirm her planned approach to more complex situations for her clients. She is active in the Chamber of Commerce and Kiwanis and serves as a board member of the Murray County Early Childhood Initiative. She is an active member of her church and is a WELCA member. Marilyn enjoys time with her family, which includes her husband Gary, two married children, and their four grandchildren who put a smile on their faces each and every day.